Hello! I’m Sister Mary Thérese from the Passionist Monastery in Whitesville, Ky. Today, my friends, I would like to share a little of my life with you and how God became number one in my life. Or better still, how God captured me and how I responded to His gift of love. I was born Betty Dale Seitz in Paducah, KY and I grew up in the country where the beauty of nature was everywhere. There was a lot of natural, God-given solitude. And so by nature solitude was weaved through and through in my earlier life. I mention solitude because I really believe it is one of the foundational requisites by which one can hear God’s call. God’s language sometimes is not all that easy to decipher, especially if there is a lot of noise going on within and without. The exterior solitude that I was gifted with was a real help to me in learning how to listen. Many times I could not understand what I seemed to be hearing, but God in His goodness sent interpreters, as you will see as I tell my vocation story. I had wonderful parents and they worked hard to raise the eight children they had, I being the sixth child in the family. What they did and said affected me deeply. They taught us what sacrifice was mainly by their own example. Even though we were poor we never lacked the necessities of life. When I started to school and made new friends I realized I had a lot more than some of my little friends did by way of material things. I remember feeling very happy when I was able to share some of what I had with them. At a very early age I felt an attraction for people who did not have it so good. This attraction grew as I read about the foreign missionaries and it was during this time, around the ages of 11 and 12, that I felt drawn to be a Sister. The pictures of so many poor and destitute people tore at my heart and I wanted to do something to relieve their sufferings. I remember thinking of myself as being like one of those Sisters some day who cared for the poor. I did not know very many Sisters except the Sisters of Mercy who taught me in school. I observed the Sisters very closely and they were always a source of admiration for me and made me aware of the sacred. Being a quiet and a rather shy person I didn’t ask questions or share my thoughts and feelings. I did not like school, but I found myself going to school to be with the Sisters, so greatly was I attracted to them. They were the ones who exposed me to the literature on the foreign missions. I was especially happy one year when I and some of my friends saved enough money to buy a pagan baby. I got to name it and received A picture of the baby later when it was baptized. I remember how thrilled I was and my desire to be a missionary grew. God’s call to me at the different stages in my life was not like the Hound of Heaven as much as it was God’s presence --pursuing and calling me in ways I could not dream of. I never found myself running away from the dream I had. It was something that was with me all the time. I did not understand what this presence was,’ but I did recognize something drawing me to be a religious Sister. I remember a cousin of mine looking at me in great wonderment and asking, (this was after I had made my decision to enter religious life), "how did you know you wanted to be a Sister?" Well, not being too experienced in God’s ways, I said, after thinking about it for awhile, "its something inside that makes me want to be a Sister." It was as simple as that. It was precisely this strong something inside me which I had felt at different times during my early adolescence that I finally responded to one Saturday morning as I sat alone at the breakfast table. I was midway in my senior year and had been to one of those senior class parties that was filled with a lot of fun and laughter the night before. It was late when I arrived home that night, so I was late in getting up the next morning, which was the reason for my being alone at the breakfast table - or perhaps this was the way God had planned things for His annunciation to me. As I sat there going over in my mind the things that happened the night before, I suddenly had a strange, empty feeling within. It was something I had never experienced before. It wasn’t a physical thing, like a lack of food, for I had just eaten. I found myself wondering about the future, wondering like I had never done before. Parties and everything life had to offer were indeed exciting for me, but what about this sudden empty feeling that just came over me? These things were not satisfying me. Then, the question came out from this deep empty feeling — "Betty, what are you going to do with your life?" Somehow, the question demanded an answer. The religious life was before me again - that presence. The good feeling returned so strongly that the following Monday I went to my teacher who was a Sister of Mercy and told her I would like to be a Sister. What do I do? She did not seem surprised as I thought she would be. After talking together, Sister arranged that I would enter the Sisters of Mercy the following September in Cincinnati, Ohio. After exposing my desire to Sister, I felt drawn to spend extra time at Church and found myself going to Mass more frequently. I don’t recall any specific prayers I said, other than the rosary, but I felt comfortable in that special presence of our Lord. Perhaps the Sisters did the praying and I just listened to the deep longing, for the call was strong. My classsmates did not believe I was serious, but gradually they all told me they were happy for me, and not one tried to discourage me. On entering the Sisters of Mercy I was very happy except for one thing. I wanted to be a missionary Sister and there wasn’t any indication that this was going to happen. My time with the Sisters of Mercy was valuable because it was a period of discovering God’s will for me. I was neither to be a Sister of Mercy nor a missionary Sister as I had dreamed of for so long, but a contemplative of which I knew absolutely nothing at that time. For me Cod’s will was unfolding gradually and I needed much patience, but most of all trust for things were looking rather bleak at this moment. The Provincial asked to see me one cold day in January. She was very kind and asked me, after a short conversation, if I had ever thought about the contemplative life? She mentioned a few Orders to me. I said no, not really. I didn’t even know they existed, much less think of any of them as a way of life. She smiled and said she thought God was calling me to the cloistered life. The cloistered life! I thought. What was that? This was a hard blow for me because I had my heart set on helping the poor, and besides it meant starting all over again. It was only later in life that I realized this was God’s gentle way of telling me that lie really did not want me to be a missionary Sister. A Sister, yes, but not an active Sister out on the front lines as it were. That was all good and indeed heroic, but it was not where God wanted me. My two years and 4 months with the Sisters of Mercy stimulated a real drawing to prayer and revealed other gifts that made the directress there think that God was calling me to the contemplative life. Leaving the Sisters of Mercy was very hard and it was the beginning of a call into suffering. It was detachment from what I wanted and attachment to what God wanted. God’s mysterious plan was hard to understand and I struggled. On returning home my parents were understanding, especially my Dad, who embraced me and said: "God has another place for you." Yes, God did indeed have another place for me, but at that time it was complete darkness. This trial was hard, but since I had done everything in my power to answer the call of the good God I must admit that despite my tears in leaving the Sisters, I felt great peace in the depth of my heart. All the same this peace dwelt only in the depths, and my soul was full to overflowing with bitterness. Jesus seemed to be absent and there was nothing to reveal His presence. The result of my own efforts seemed to be a plain failure. While with the Sisters of Mercy I had learned how to speak to our Lord in a personal way. I learned this on my own. Methods seemed all too complicated and impersonal for my poor mind and heart. I was drawn at this time to reflect on the Passion of Jesus and my choice of books at that time centered on the Passion. Leaving the Sisters, I remember saying in my heart, "I will be a Sister some day." My choice now was to mature in the darkness of waiting for nine months and let God form me in the womb of His Holy Will. Never did I doubt God’s call in this struggle. It was the struggle of not knowing where He was calling me and when. How little did I know then that God writes straight with crooked lines. My dream of being a missionary Sister in some foreign land was not God’s dream of me. His dream of me was much more profound, so profound that it confused me -- "I have chosen you. You have not chosen me." During these months of waiting I became acquainted with the life of St. Therese of Lisieux who was a great inspiration for me and whose name I was later given as a Passionist Sister. I could relate to her own great desire and dream of being a missionary. It was not God’s dream for her either. She taught me how to accept the vocation God wanted to give me. It was at this time I began to let go of what had been and to put my whole heart into searching for what the Provincial had opened up to me and that my Dad had confirmed in a kind of prophetic way. I now went to my pastor for his advice. I was completely open to him about my vocation. He encouraged me, prayed for me, told me about the Passionist Nuns in Owensboro, and finally arranged that I make a weekend retreat with them. God indeed was revealing to me His will through others. And so, I made the retreat and it was during this retreat that I truly said yes to the past and yes to God’s will for me at the present. So quickly did it all happen that I could hardly control the exalted feeling within me. 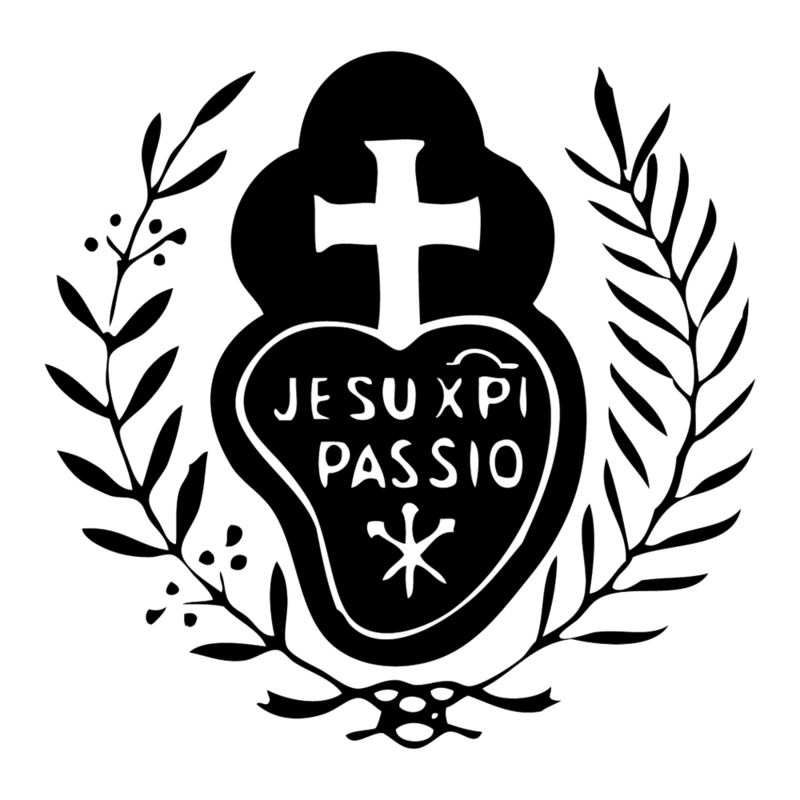 Six weeks later I was accepted as a postulant in the Passionist Congregation. It is in being a Spouse of Jesus Crucified that I can always be a missionary Sister at heart, for Jesus was the greatest missionary that ever came into this world. And so my dream is being fulfilled at every moment through prayer, penance and sacrifice and by having Jesus’ sufferings and death always in my heart. This is God’s loving gift to me and it is this gift that I share daily with the whole world through faith. God love and bless you.